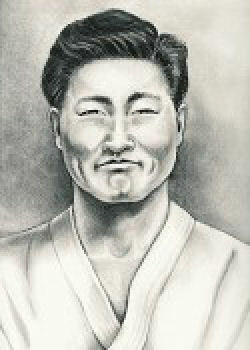 Great Grandmaster Byung In Yoon (1920 - 1983) learned Chuan Fa in Manchuria, China in the 1930's. In 1937 he went to Japan to be educated at Nihon University and there trained with Toyama Kanken, the founder of Shudokan. After World War Two, Mr. Yoon taught Kwon Bup in Seoul, South Korea until the Korean War, when his older brother took him to North Korea. He was not allowed to return to South Korea after the war and remained in North Korea until his death in 1983. Great Grandmaster Chul Hee Park (1933 - 2016) began training with Byung In Yoon in Korea in 1946. After Mr. Yoon disappeared during the Korean War, Mr. Park continued to teach Kwon Bup along with Jung Pyo Hong. About 1954, Mr. Park and Mr. Hong founded a new Kwan, which Mr. Park named Kang Duk Won (School of Virtue). Mr. Park continued to teach Kang Duk Won Kwon Bup even in his final years. In November 2015 Great Grandmaster Chul Hee Park officially retired as world head of Kang Duk Won and passed the mantle of authority to his student Hwa Chong. His funeral on April 4th 2016 attracted many of Taekwondo's great luminaries, including his successor. Great Grandmaster Hwa Chong (1939 - ) trained under Great Grandmaster Chul Hee Park in the mid-1950’s and is a former All-Korea sparring champion. Through Mr. Park’s correspondence with Mr. Carl Stolberg, Master Chong was able to come to the United States in 1967. Master Chong began teaching Taekwondo at the University of Michigan and in the Detroit area while earning his Master's degree in economics at Michigan State University. Master Chong has served as the head instructor of the University of Michigan Taekwondo Club since 1968. He is a former President of the United States Taekwondo Union, a former member of the WTF council, and has served as Head of the US National Taekwondo Team. His students have included Olympic gold medalist Lynette Love and bronze medalist Han Wan Lee. In addition to being the University of Michigan Master Instructor, Master Chong is a lecturer in the Division of Kinesiology, and teaches the Beginning Taekwondo and Advanced Taekwondo courses in the U-Move program.